NEW YORK (JTA) — The success of a landmark $1.25 billion settlement for Holocaust victims risks devolving into a bitter public spat over the fee an attorney is charging on the case. A ruling is expected any day on whether Burt Neuborne, the New York University law professor who served as lead settlement counsel for survivors in the Swiss bank case, should be paid $4.76 million for his efforts. Neuborne worked pro bono in winning the original settlement, but he’s seeking payment for seven subsequent years of work representing hundreds of thousands of claimants during the complex process of disbursing the funds. Holocaust survivors involved in the case say Neuborne never disclosed his intention to seek remuneration and were shocked to learn he was asking for a multimillion dollar fee. Survivors were further outraged last week when the Anti-Defamation League gave Neuborne its American Heritage Award in recognition of his work promoting human rights and democratic ideals. In a written statement provided to JTA, Neuborne says he always intended to seek compensation. “I disclosed my post-settlement fee arrangement to the German Holocaust Foundation, the U.S. Supreme Court and the parties in open court,” he wrote. Several lawyers who worked on the case support that position, saying it was well understood that Neuborne’s post-settlement work was not free. Michael Hausfeld, a lawyer who worked on behalf of survivors on the case, says there was no “technical disclosure” but that Neuborne’s intentions were well understood. Apparently not. Several survivors, lawyers and community professionals connected to the case told JTA that Neuborne had every opportunity to inform them he was seeking payment for post-settlement work, but did not do so. In a number of court papers, Neuborne refers to the fact that he worked on the case without fees; Neuborne says those statements are being misconstrued. 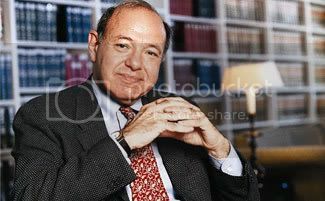 Thane Rosenbaum, a Fordham University law professor and author of a book on the moral basis of restitution claims, says such ambuguity is precisely the problem. The question of attorney fees is not the first controversy to hit the case, in which Swiss banks were accused of hiding Holocaust-era bank accounts belonging to Jews. A group of American survivors filed an appeal to block a plan to send a large percentage of the settlement funds, earmarked for needy survivors, to survivors in Europe and the former Soviet Union. The presiding judge, Edward Korman, rejected that appeal, a decision Neuborne supported. Neuborne calls that charge “so incredibly unfair,” arguing that survivors in the former Soviet Union had as much claim on his services as those in the United States. He says he turned his life “upside down” working on the case, even persuading Congress to make the settlement money tax-free, which saved more than enough to cover his fee. He notes that his fee, if spread across the several hundred thousand survivors who received compensation, amounts to only about $10 a head. And, he says, he successfully defended every legal challenge to the settlement. “When the lawyers say, ‘We did everything,’ yes, they were helpful. But it was a moral and ethical issue that would have been settled with or without the lawyers,” he said. For some, the disclosure issue only partly explains the reaction. The fact that Neuborne calculated his fee at $700 an hour — a rate that corporate attorneys might charge for work on behalf of major companies — after having already earned more than $4 million for work on the German claims case appeared to them to be the height of greed.